Well, it’s official. 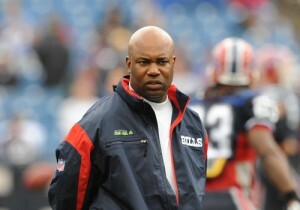 Perry Fewell is the next defensive coordinator for the New York Giants. It is a good move? I’m not sure. To be honest, I don’t know much about him. I know he runs a Tampa-2 scheme (similar to what the Colts run). I don’t think we have the quickness at linebacker or the playmakers in the secondary to make that happen. Odds are we’ll stick with the 4-3. Jesse Bartolis has watched more Bills games than I have, so he’ll be able to give you a better assessment. From what I’ve read/heard, Fewell is a yeller, gets in guys faces. 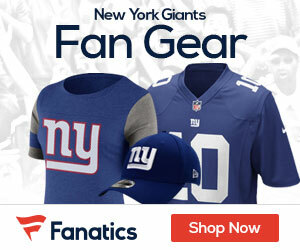 That’s what the Giants need, quite frankly. Someone who will yell at someone when the effort isn’t there. We’ll know early on what kind of defense he runs, what it looks like. It may take awhile to make an informed opinion of him. But, for now, I like the hire. I think he’s fiery. I think he will play an aggressive style. I think he could be the right fit. The Bills were plagued by and awful D-Line last year, far worse than the Giants. Perhaps the saving grace was their Safeties, something the Giants REALLY didn’t have.